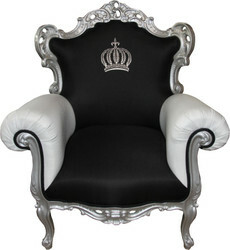 Product information fpr "Pompöös by Casa Padrino Luxury Baroque Dining Chair White / Gold with Crown - Pompööser Baroque Chair designed by Harald Glööckler"
The fancy designer chair is covered with a black fabric. The chair frame provided with golden leaf metal gives the noble piece of furniture the finishing touch. This sumptuous dining chair from the Pompöös by Casa Padrino collection by Harald Glööckler transforms every dining room into a veritable palace. 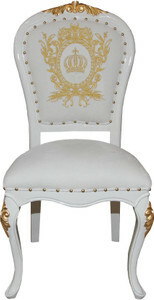 The sumptuous luxury baroque dining chair is an absolute eye-catcher for every dining room. 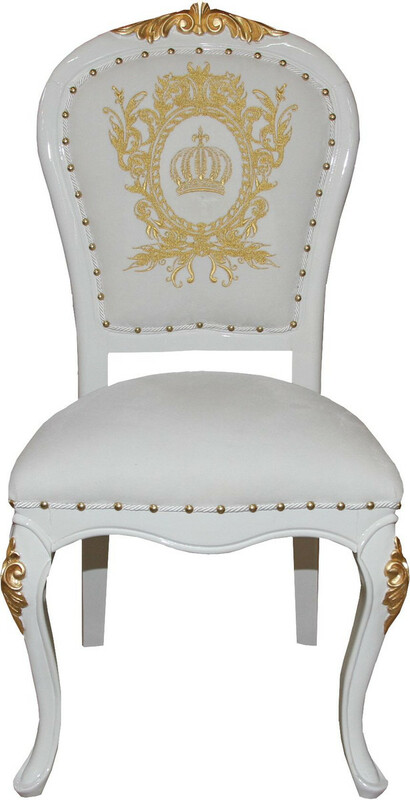 Technical data for "Pompöös by Casa Padrino Luxury Baroque Dining Chair White / Gold with Crown - Pompööser Baroque Chair designed by Harald Glööckler"
Rating for "Pompöös by Casa Padrino Luxury Baroque Dining Chair White / Gold with Crown - Pompööser Baroque Chair designed by Harald Glööckler"